Where does your chocolate come from? Does it matter if your coffee is fair trade or not? It matters--more than you might think. Julie Clawson takes us on a tour of everyday life and shows how our ordinary lifestyle choices have big implications for justice around the world. She unpacks how we get our food and clothing and shows us the surprising costs of consumer waste. How we live can make a difference not only for our own health but also for the well-being of people across the globe. The more sustainable our lifestyle, the more just our world will be. Everyday justice is one way of loving God and our neighbors. We can live more ethically, through the little and big decisions we make every day. Here's how. "Julie Clawson gets it. First, she gets it that most of us suburban Americans feel overwhelmed and guilty when we hear about justice. That's why she focuses on positive, doable ways that we can improve the justice quotient of our lives. Second, she gets it that we in the 'developed world' often have an undeveloped theology and lifestyle when it comes to key issues like fair trade, modern-day slavery, fossil fuel dependence, ethical eating and buying, and debt. That's why she gently, positively and hopefully helps us get 'development' where we need it most." "Many of us live in a world of great privilege. We also live in a culture of gluttony, and this includes our access to information, words and ideas. With the onset of technology and social media, my fear is that many of us will elevate our words and ideas--and be content and satisfied with that as our action. Everyday Justice is important for two very simple reasons: Justice is on the heart of God and justice needs to be pursued and lived out every day. Julie has given the larger faith community an important but inviting challenge: Do justice every day." "When I was a young Christian I was told that our job was to get people to heaven. The world (like now) was a mess, so evacuating people seemed like a good idea. What if instead I had been told that our main job was to bring the kingdom of God to our planet? What if that meant doing very practical things like advocating for people who were poor, voiceless and powerless? And what if I'd been told Jesus will only return when his followers have improved the situation for those people so much that it's finally become habitable for heaven? That's what I think now. If this idea intrigues you, read this book. It provides the how-tos." "Julie Clawson is a significant and much-needed voice in the emerging church conversation--actually, in any faith conversation. For those of us who have long felt her voice needed to be heard, Everyday Justice is a cause for celebration. Only someone who lives a life of social integrity is entitled to write such a book, and Julie is that person. She offers us hope that we can all contribute in a meaningful way to the transformation of our culture." "Living justly is an overwhelming task these days. How do I know whether the coffee I'm drinking was fairly grown? Or whether my jeans were made by a twelve-year-old? It's daunting, and we're tempted toward apathy. That's why Julie Clawson has done us such a service in writing Everyday Justice--in readable, compelling prose, she lays out the truth behind some of the products we use every day, and she gives us practical steps for living justly in a consumeristic age. She avoids guilt trips and writes personally. This book is needed and deserves a wide readership." "Every product in our consumer hands has a trail. . . . Julie Clawson skillfully and kindly helps us take seriously the call to justice in our everyday choices. From coffee to cars, there is a collision of economics and ethics that Christ-followers must take seriously. By refusing to make justice a liberal or conservative cause, she helps us participate in restoration, ethical consumption and the beautiful pursuit of justice in God's world." "Julie Clawson had me at 'Don't panic.' While many resources on social justice leave even the most compassionate souls and generous hearts frozen with an overwhelming panic from not knowing where to begin, Everyday Justice fires readers up and leaves them ready to change the world--starting right in their everyday lives. Clawson's well-researched and well-written book flows with stories of evil and good, monsters and heroes. It's a must-read for anyone who wants a deeper understanding of what loving our neighbors should look like." Caryn Rivadeneira, managing editor, Gifted for Leadership, and author of Mama's Got a Fake I.D. "With both tenderness and everyday practicality, Julie Clawson invites all of us into a more complete way of following Jesus. By providing simple, concrete ways to seek justice in our daily lives, Everyday Justice is a great resource to get you started or keep you going on the journey toward acting justly, loving mercy and walking humbly with your God." "Clawson's purpose is not to shame but to inform. She does not condemn, but asks readers to question whether our life choices are congruent with our professions of faith. She has managed to couple frankness with empathy, confrontation with humility. Repeatedly she acknowledges how insurmountable the problems appear and how overwhelming the prospect of doing anything corrective can feel. She urges readers not to panic, but to remember that the world doesn't rest on our shoulders." "Clawson's informative book offers a helpful approach, and a feeling of solidarity with others on the journey." "Clawson gives practical advice and resources to aid readers in overcoming everyday injustices. Her research is extensive, and her insights are relevant. Her passion for this topic is contagious, and her advice is timely and essential. 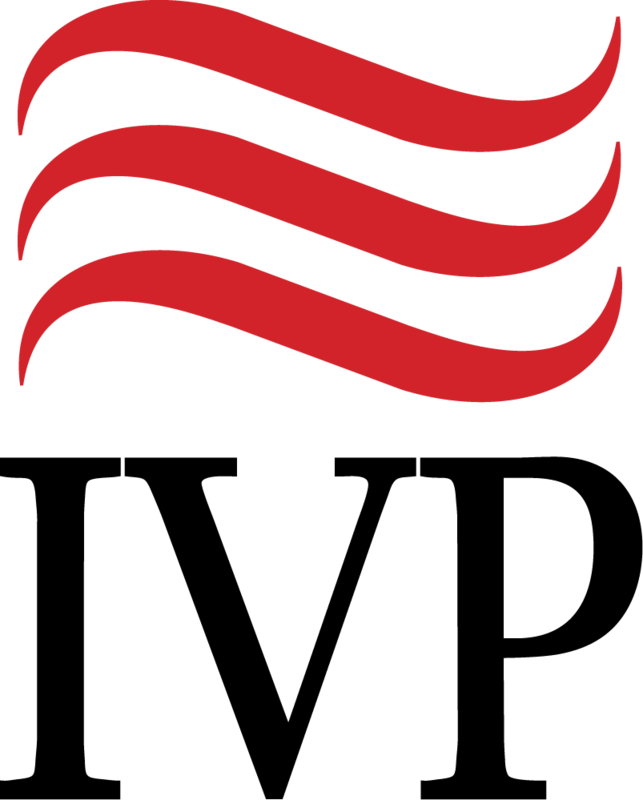 Clawson's remarks will inspire any consumer to live justly." A valuable introductory resource for those of us trying to weave justice-making into our daily lives. 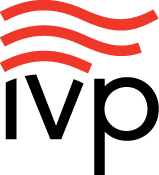 A must for environmentally focused social issues collections. Everyday Justice is informative and easy to read while offering a positive outlook on how to adjust our lives in order to affect the world for the better. 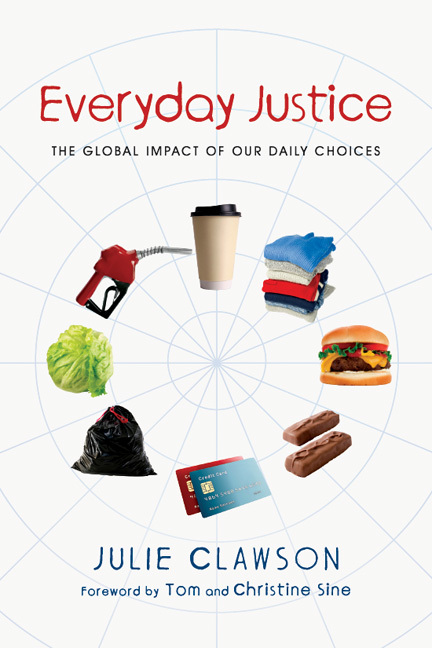 I want everyone close to me to read Julie Clawson's Everyday Justice, a positive, insightful, practical look at global issues and living righteously as a consumer. Find out more about how you can live justly at www.everydayjustice.net. Download an excerpt from Everyday Justice and Q & A with Julie Clawson. 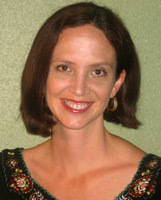 Julie Clawson has a masters degree in intercultural studies from Wheaton College. She's worked as both a children's ministry director and as a co-pastor. But currently she spends the bulk of her time as a stay-at-home mom in Austin, Texas. While she might like to be volunteering at the local community garden or mentoring at-risk youth, the important and very full-time job of caring for her two toddlers keeps her close to home. It's been in the home environment, however, that Clawson's learned the profound lesson that she can make a big difference for the cause of justice, no matter what stage of life she's in. Through paying closer attention to the injustices in the world around her and listening more closely to the calls for justice throughout Scripture, Clawson started to uncover little things she could do to subvert systems of injustice. Buying fair trade coffee and slave-free chocolate. Growing some of her own food. Driving less. Hanging her clothes out to dry. With these kinds of decisions, she discovered, we can either support systems of injustice, or we can put our faith into action and love people through basic day-to-day choices. Her book, Everyday Justice, is in many ways a reminder that serving God and seeking justice is for everyone, no matter what your life looks like. When she's not changing cloth diapers or shopping fair trade, Clawson is busy blogging regularly at julieclawson.com and everydayjustice.net. In her few minutes of spare time Clawson enjoys listening to the likes of U2 and David Wilcox. She loves watching epic tales like Lord of the Rings and Star Wars and slightly less epic tales like Lost and Heroes, because these pop culture tales often serve not only as a reminder that the world is full of injustices, but as encouragement to anyone who wants to make things better.